We put the FlyBoard put at your disposal so you can have the best fun possible. Come with us and live a unique experience moving under the water like a dolphin or raising you and flying over the water as an IronMan. 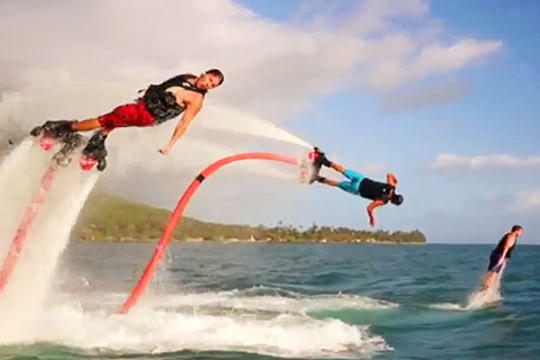 The FlyBoard is a board to propulsion of water that is attached to a Jet Ski that supplies the power needed to propel itself. It can be controlled with an optional remote control kit so you can be on top of the board playing and controlling in all moment or it can also be controlled from the Jet Ski for what it will need to be accompanied by. You don’t need any prior experience. The fun is guaranteed since 95% of those who tested for the first time begin to fly in just a few minutes. It is very easy and you will have a feeling that you will not forget, do not miss and book it now! at 09:30 AM, 11:00 AM, 12:30 AM, 02:30 PM, 03:30 PM and another start time is possible on request. 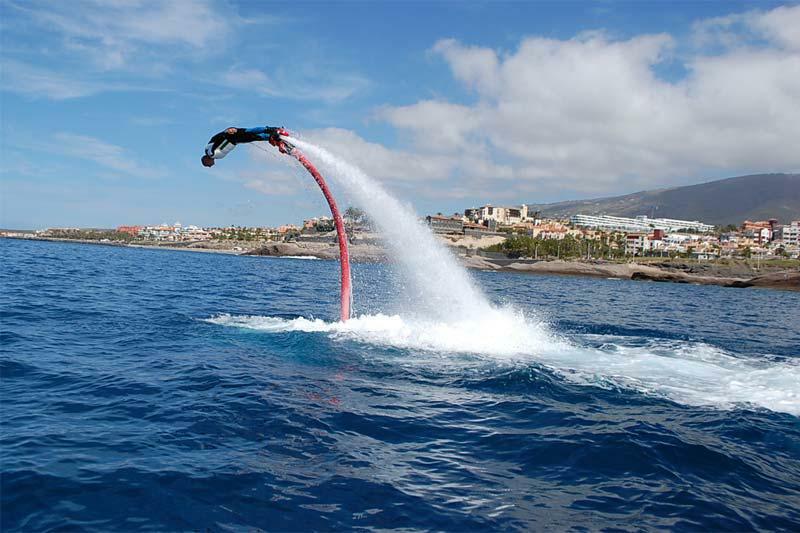 In order to make your booking of FLYBOARD Adventure easy and comfortable Tenerife Host use the most advanced and user friendly booking platform TripsPoint.com where you can easily check last actual prices, the tour availability, required booking deposit and book this tour. To get more information of FLYBOARD Adventure and do booking, please, click the button ‘Book Now’. You will be taken to the tour page at TripsPoint.com where you can easily book the tour. Once the booking of FLYBOARD Adventure made at TripsPoint you will get your tour Voucher / booking confirmation with all details, including exact pick-up point with pick-up time and map. 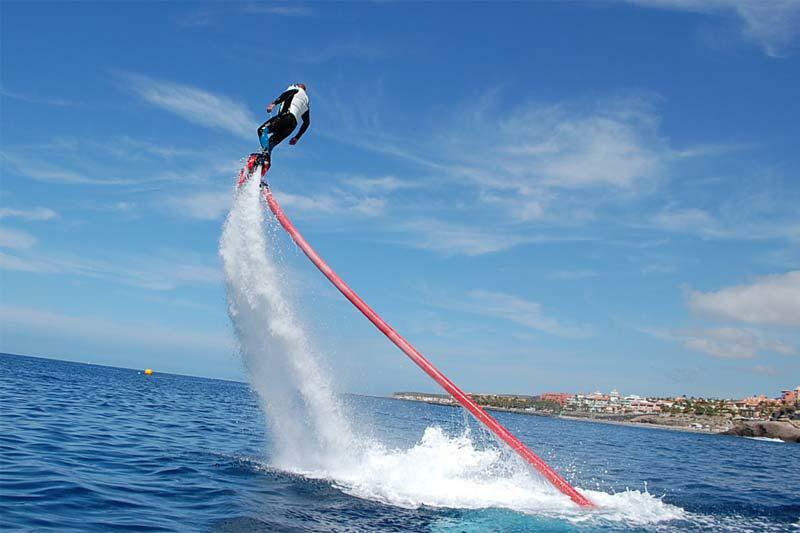 49€ – per person (30 min of preparation + 15 min of flight of FlyBoard). 75€ – per person (30 min of preparation +30 min of flight on FlyBoard). 15 min or 30 min.